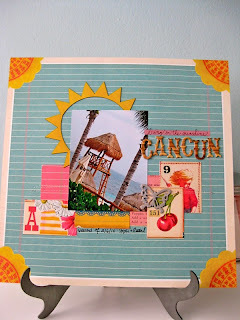 Your Cancun layout makes me happy! Love the bright colors/sunshine! Love your sneak peek...that flower is GORGEOUS. 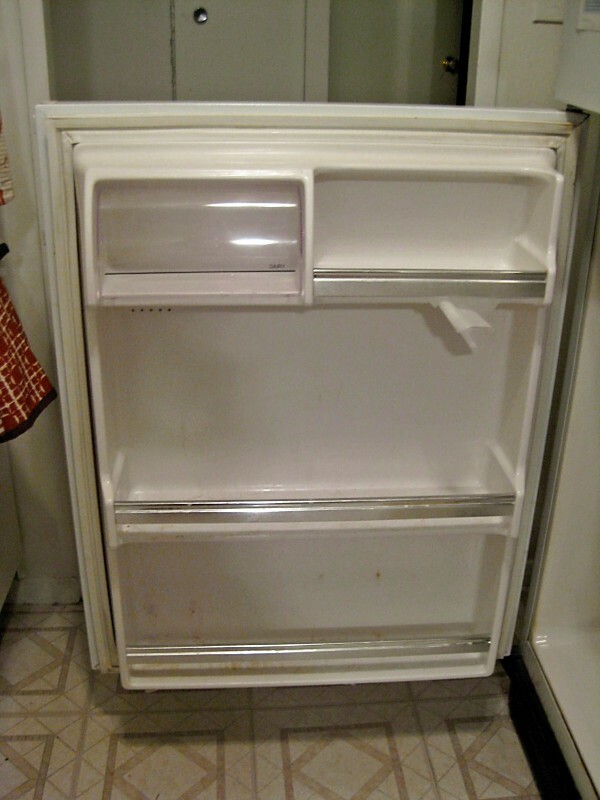 Oh - and do you think you could swing by and clean my fridge? I've been putting it off for awhile now, so it might be kinda icky. Is that a no? Ok, thanks anyway. I did not know that about Barton's--so sad. One of my favorite childhood Passover memories--Barton's candies. 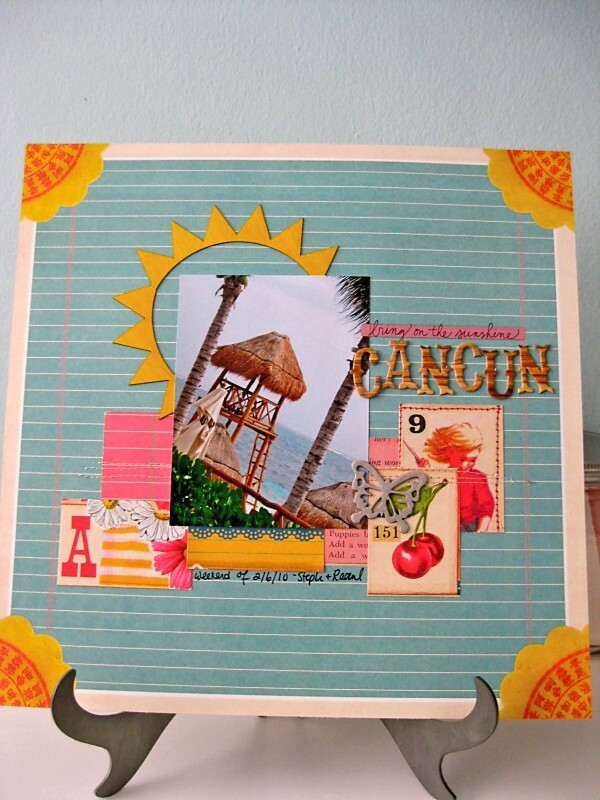 Love your Cancun layout. Makes me long for the beach! 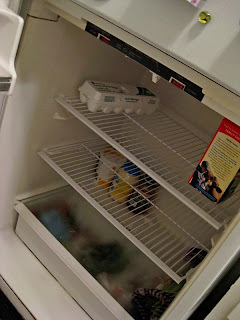 clean my fridge? please? okay. no? well. yours looks good! :) i know i told ya at 2peas & sc, but i love your cancun layout. fab! that photo is lurvly. the little sneaky peaky looks delicious! That Cancun LO makes me want a vacation even more than I already was. Great page. Oh I love that page. the colors are perfect. Ohhhhh I LOVE that sneak peak!! and your full LO!! 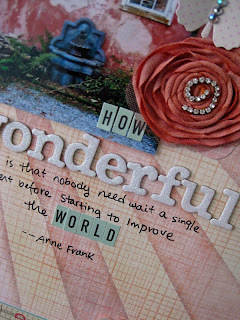 and all of your inspiration on your blog!!! Don't you love a clean fridge, but it never seems to last long...well in my family anyway. Love your layout. I wish I was there right now. It is BRRRRRRRRRRR here right now. Love the contrast of the blue and the sun! Pretty, pretty! Congrats on the very clean fridge. A chore I am trying to avoid! I am so jealous of your clean fridge!!! Your LO is gorgeous, and I can't wait to see your sneak in FULL!